Icoms are notorious for this because the normal mic element is a electret (condenser). 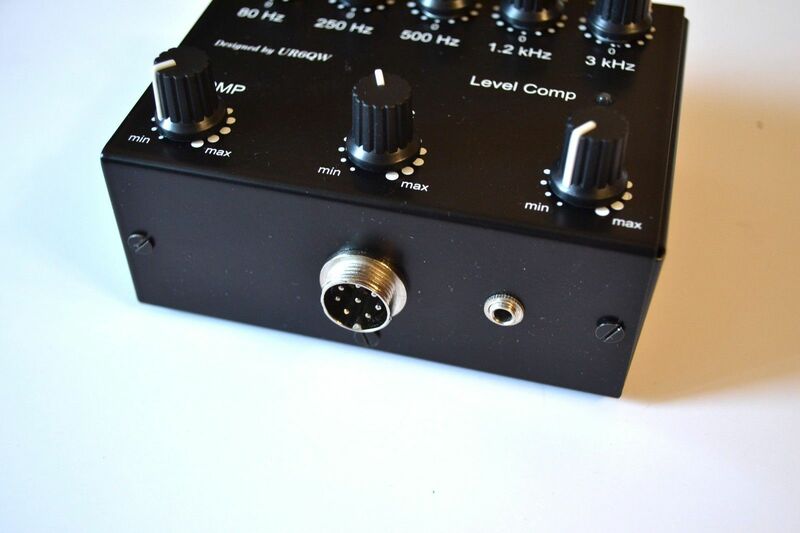 A Heil PR40 will require a pre-amp inline. I use this for a Heil HM10 dynamic. dynamic mic with a inline DC blocking cap. I have found that with this box that no compression is needed. There was no import duty. 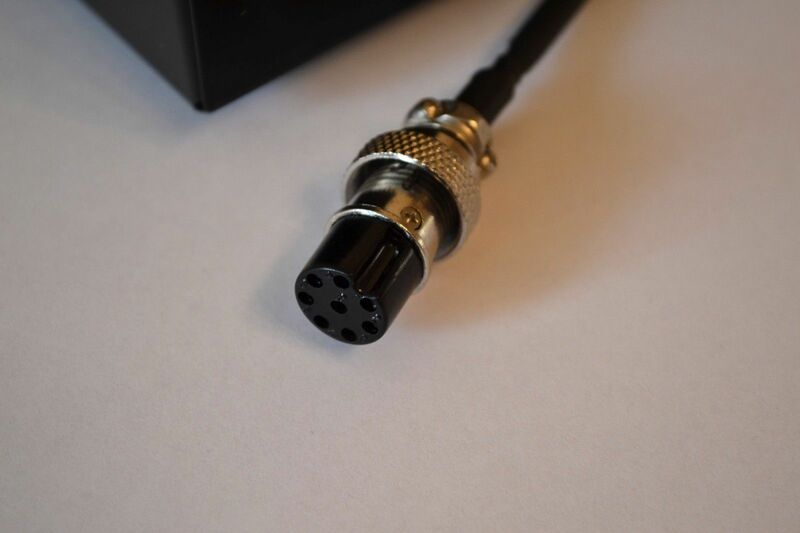 This unit can be used with any type of ICOM radios with 8 pin microphone connector. There is NO battery or power supply needed to feed this device. 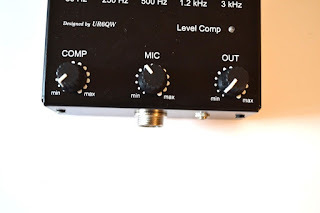 This unit take energy from you radio thru the mic connector. Easy to use!!! Just connect this Sound Processor to the 8 pin mic connector on your radio and then connect the standard ICOM microphone to this unit and it is ready to work. Then turning the pots on its panel just get an excellent quality of your signal. 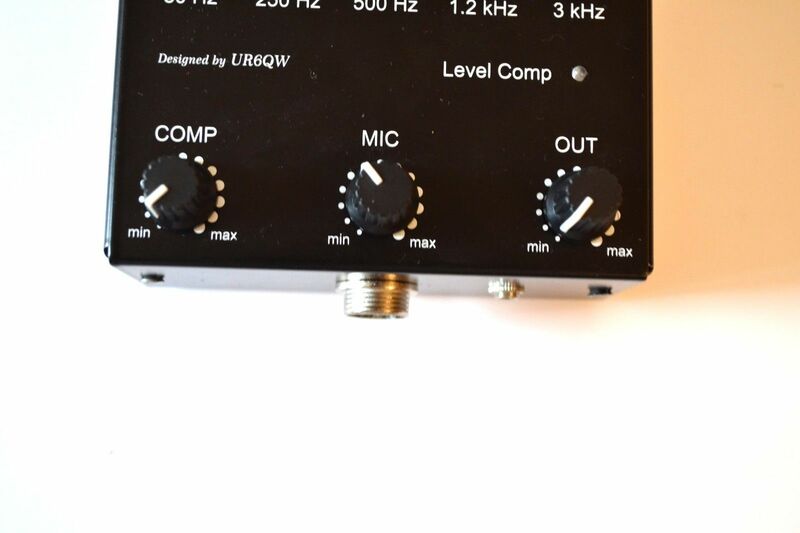 To use the compressor pot in DX pile ups. Only the original product against the developer and the producer of UR6QW guarantees high-quality work. Microphone low noise amplifier with input and output level pots. 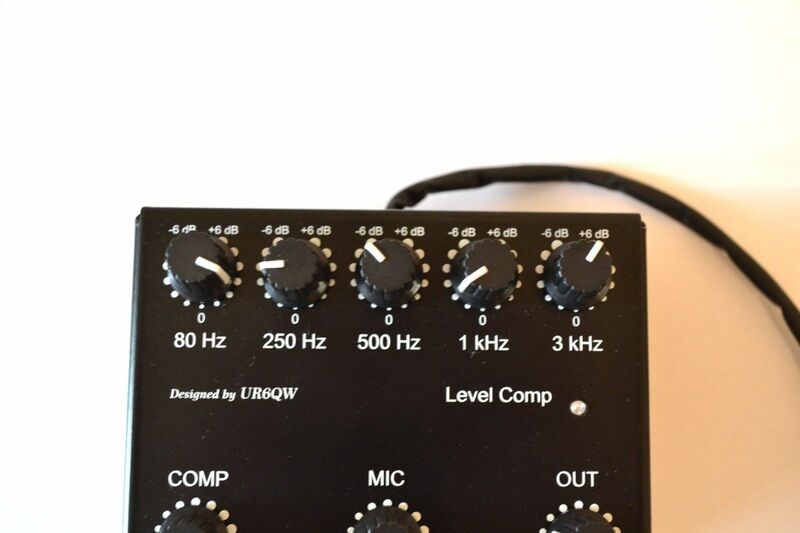 Voice 5 band Equalizer with pots on 80 / 250 / 500 / 1200 / 3000 Hz. Strong steel case - reliable protection against external noises. Good workig with HIGH OUTPUT POWER up to 2kWt. Now working UP DOWN control of the radio by Mic's knobs. 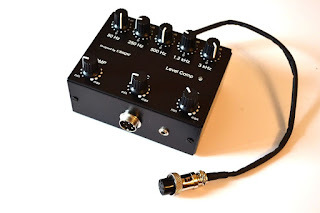 Has add mic input MINI-JACK for easy use of computer typeface, HEIL microphones and etc.